XDI-V ISP Technology is engineered to process high quality images from 520K/610K sensors so as to guarantee 650 TV Lines(color) / 700 TV Lines(Night). Also, the package size is 46% smaller than the existing one, and the high technology process and low power consumption design reduce power consumption by 20~30%. 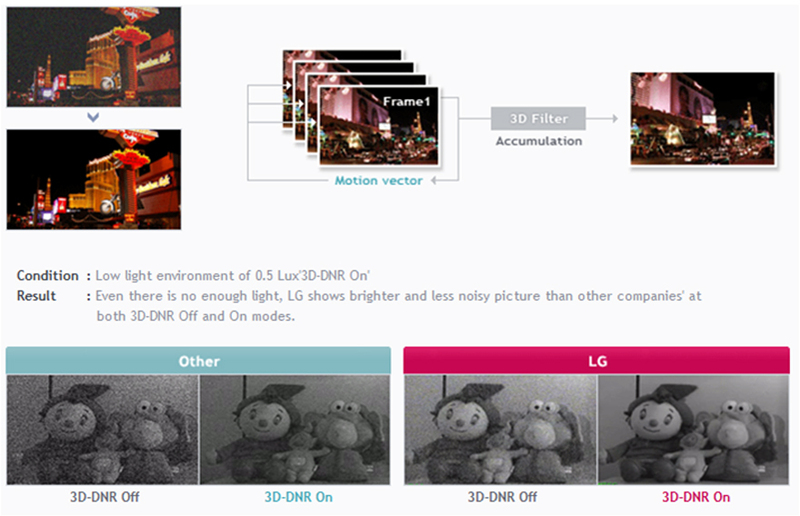 The newly improved 2D + 3D-DNR reduces noise and after-images, enabling an optimal monitoring even at low light. 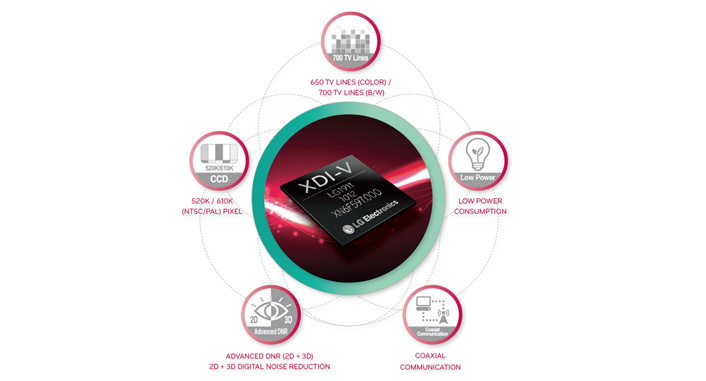 Now experience XDI-V that supports Multi languages and coaxial Communication. 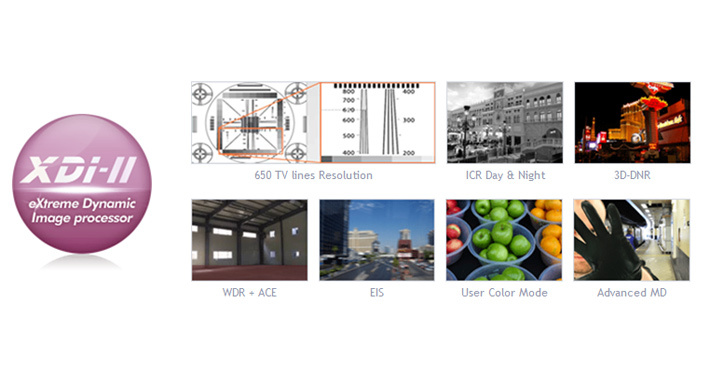 The world best resolution of 650 TV Lines(Color) / 700 TV Lines(B/W) is realized by combined technology of 3 Line filter, edge enhancement and 520K/610K sensor image. The world best resolution of 650TV Lines is realized by combined technology of 3 Line filter, edge enhancement and 520K/610K sensor image with new OLPF. 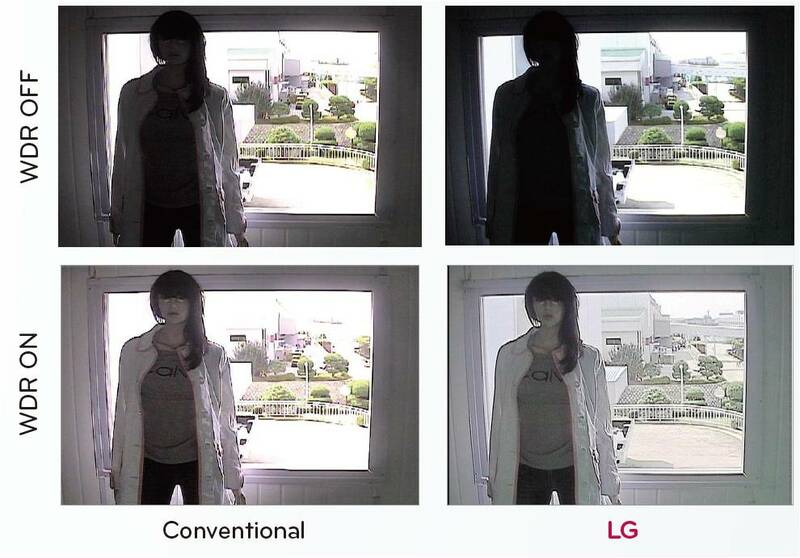 In dark environment, brighter images can be obtained by using higher AGC. 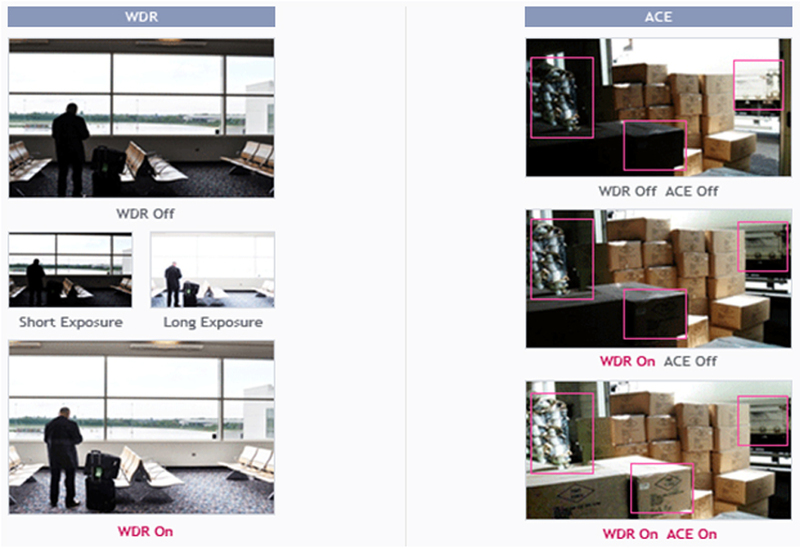 WDR allows dark portions of a bright image to be shown clearly, thus enhancing details and removing noise. In a case of extreme difference of the contrast between light and shade, ACE further brightens the dark portion of the image with enhanced WDR function. shake-free images. 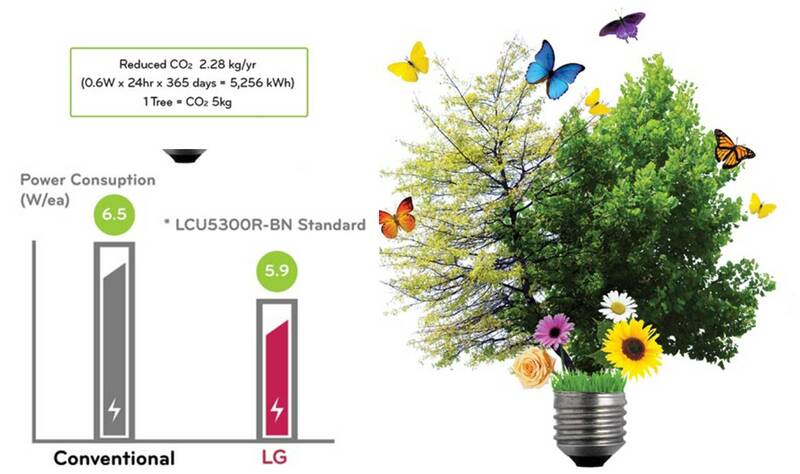 Also LG XDI-Ⅱ strengthen detection of movement so as to reduce side effects of EIS. There are three motion detection options of Smart MD, Regional MD and Anti-Tampering MD. 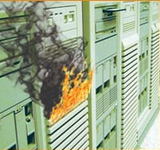 With detection sensitivity improved, the user can set any wanted detection scope. (8x6 Blocking Zones). 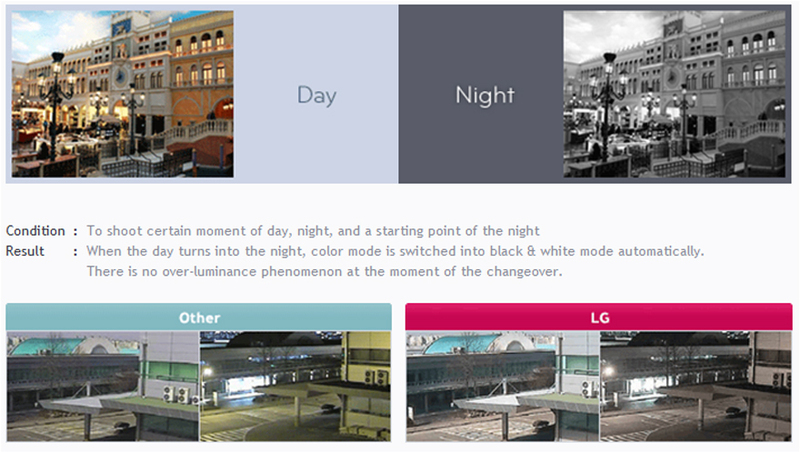 Select the color mode among Natural, Warm, Cool and Vivid colors as you prefer. It satisfies the needs for right color for you. 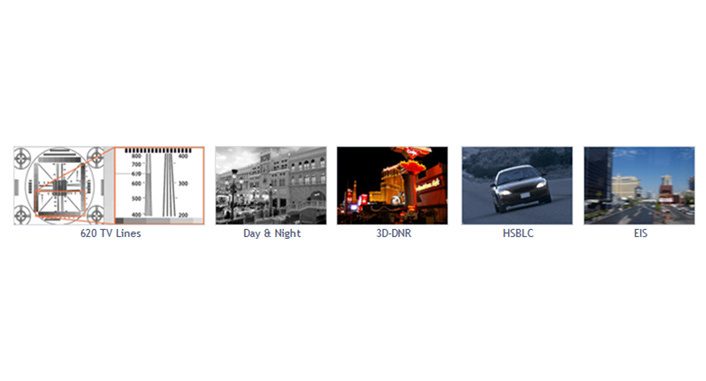 By removing false images and enhancing edge, XDI achieves 620 TV Lines high resolution. 3Dimensions Digital Noise Reduction In dark environment, brghter images can be obtained by using higher AGC. A function to block certain light sources and brighten dark areas enables verification of car license panels at night. Windy conditions or other factors may shake the camera, but the system will automatically produce shake-free images.